PALM SPRINGS, Calif. ~ Scouts from nearly ten Major League Baseball teams came out to Palm Springs Stadium to evaluate professional hopefuls. 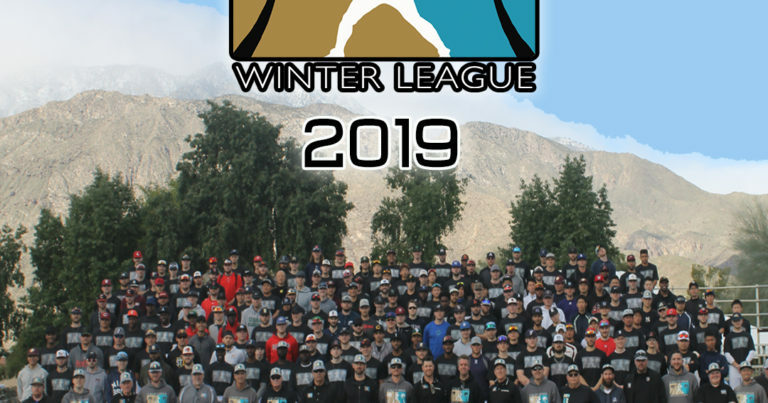 About 200 California Winter League players from all over the world showcased their hitting and fielding skills, hoping to impress professional scouts. The morning started with coach and front office introductions before the players split up. Each position player had their 60-yard dash timed followed by each catchers “pop time” (throw from home to second base) being recorded. After that, players split up into their individual positions. Pitchers took to the bullpens to showcase their arms, outfielders threw to second, third, and home, and infielders took ground balls and turned double plays. The day finished up with every position player taking live batting practice. Scouts from the Yankees, Mariners, Red Sox, Brewers, Diamondbacks, Phillies, Braves and Dodgers were in attendance and they look forward to coming back the rest of the week with the hopes of signing a player or two. Be sure to come out to Palm Springs Stadium tomorrow for the second preseason workout day to catch all the action!